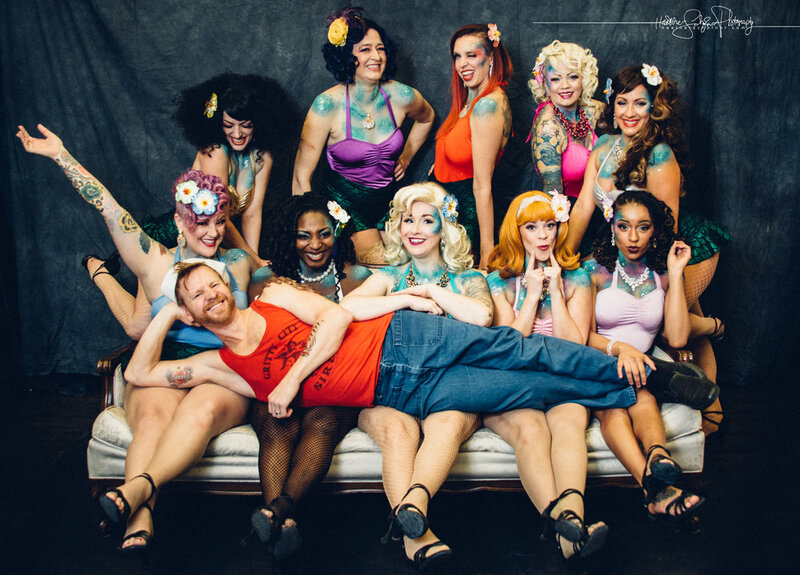 Tacoma's Gritty City Sirens are thrilled to be back at TLT with another installment of, "VarieTEASE" with Special Guests Kat Welsh from Tacoma Belly dance, & Ms.Briq House! and featuring Living Legend of Burlesque, Eartha Quake!! Eartha Quake is a San Francisco native who started as a cashier at the 16th Street Follies in the late ‘60’s. She first set her toe on stage one night for one set when one half of the “Love Dance”, was a no-show. Eartha worked mostly up and down the West Coast, between 1969 to 1979, from L.A. to Alaska, and has performed alongside such dancers as; Camille 2000, Velvet Ice, Viva La Fever, Harlan Fairbanks, Diamond Sapphire, Phonda Peters, and Eartha’s own sister; Dee Dee Love. The Gritty City Sirens strive to inspire and entertain our community by consistently producing professional, quality performances & events that encompass elements of vaudeville, theater and live music.